Mt Ruapehu is home to the most awesome natural skiing and snowboarding terrain in the country: huge snow filled basins, steep chutes, drop-offs and secret powder stashes. 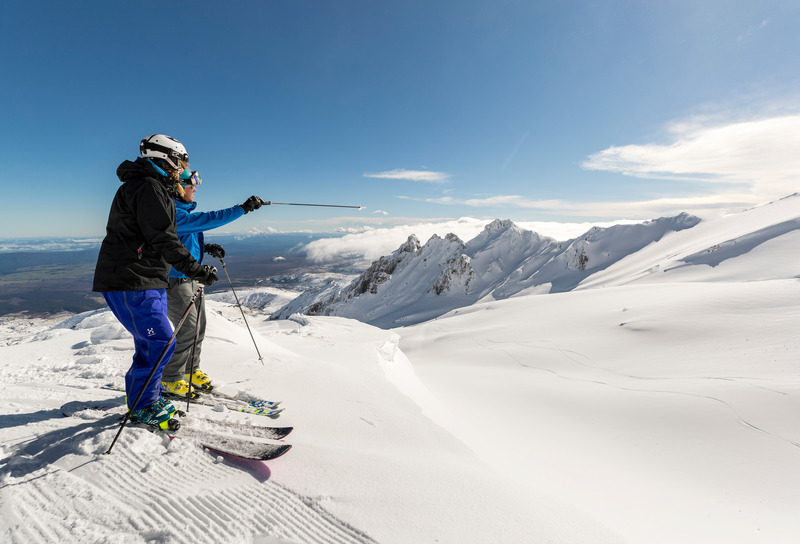 Mt Ruapehu offers something for everyone: fantastic learners’ facilities, terrain parks for snowboarders and freeskiers of all abilities, and the best spring skiing in New Zealand. There are more than 30 groomed trails that intermediate skiers and boarders love. The vol­canic terrain at Whakapapa gives a massive variety between trails, giving you the choice of bumps, chutes, drops, bowls or nice wide runs. 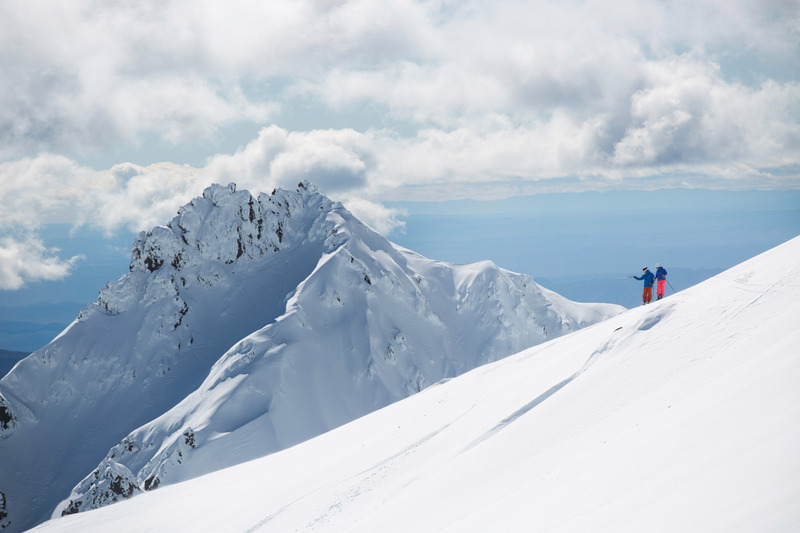 With 24 black and black diamond runs plus the lift accessed Black Magic backcountry area, there is plenty at Whakapapa to get the adrenaline pumping even for the most expert of experts. *Turoa Ski Area on the south-western slopes of Mt Ruapehu has Australasia’s longest vertical descent and New Zealand’s highest lift. The Alpine Meadow at the base of Turoa Ski Area is a wonderful little beginners’ area. It has a massive 120m long carpet lift. The Alpine Meadow is right next to the Alpine Chalet where you’ll find good coffee, meals, snacks or even a well deserved cold beer after you’re done on the slopes. And, for the littlies in the family, there’s a tobogganing area right alongside the Alpine Meadow too! With 25 black and black diamond runs and two spectacular lift-accessed backcountry areas you’ll find a massive variety of terrain as an advanced skier/ rider at Turoa. Enjoy the natural half-pipes and chutes through the Organ Pipes and the Solitude backcountry area or the amazing wide sweeping terrain of the Triangle and the Glacier backcountry area. There is a lot to see and do within the Mt Ruapehu district. Try Tongariro Quads, Hukafalls Jet boating, Taupo Cliffhanger, Taupo Bungy, Hole in One golf and Tongariro River Rafting. Once you're in the Ruapehu district getting to the slopes is easy. The access roads to both of the ski areas are by far the best in New Zealand. They're fully sealed, two lanes and suitable for campervans. You can self drive or get a shuttle, if you do self drive make sure you have the correct chains for the wheels. Ohakune is the town at the southern gateway to the Tongariro National Park World Heritage Site, this is the closest town to Turoa at just a short 25 minute drive. Whakapapa Village and National Park Village are both close to Whakapapa ski are, at only a 10 minute and 20 minute drive away respectively.